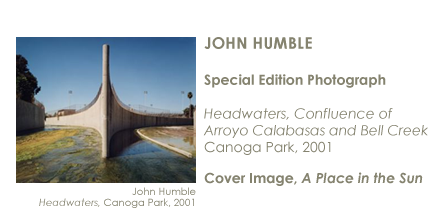 John Humble received a B.A. 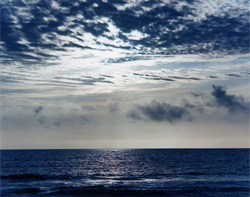 in philosophy from the University of Maryland and an M.F.A. 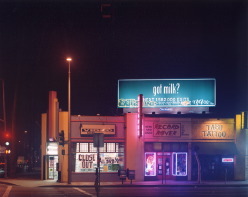 from the San Francisco Art Institute. 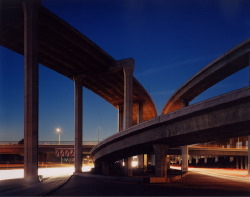 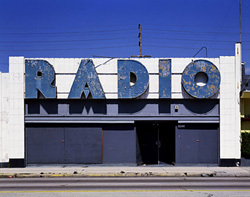 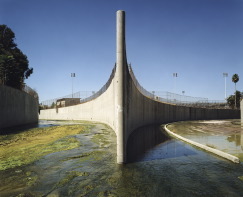 His large-scale color photographs of the ironies and paradoxes of the Los Angeles landscape have been exhibited and published internationally. 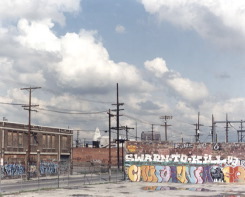 His work is in numerous collections including the Corcoran Gallery of Art, the National Museum of American Art, the Smithsonian Institute, the Library of Congress, LACMA, the San Francisco Museum of Modern Art, and the J. Paul Getty Museum. 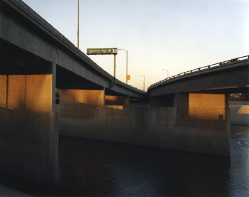 In addition to making fine-art photographs of the L.A. landscape, he has also done editorial work for Time, Newsweek, U.S. News and World Report, Elle, The Los Angeles Times Magazine, Harper’s, Esquire, and Geo. 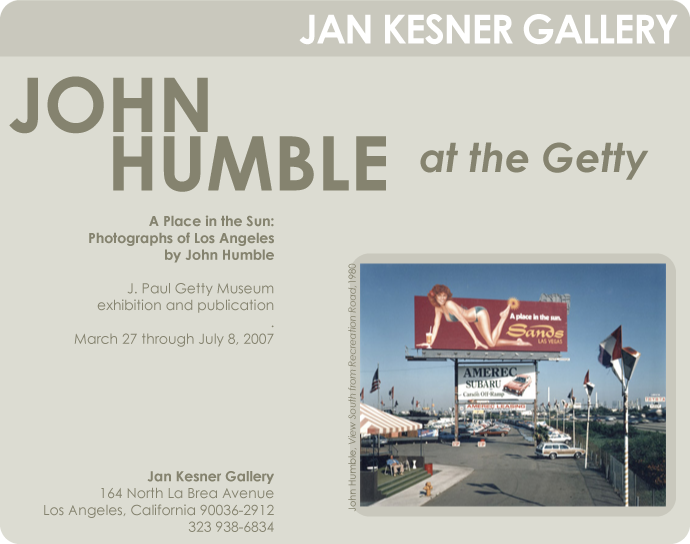 He is represented by the Jan Kesner Gallery in Los Angeles. 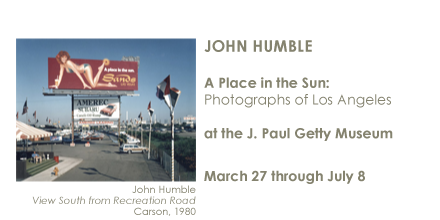 The J. Paul Getty Museum is currently exhibiting, “A Place in the Sun, Photographs of Los Angeles by John Humble,” from March 27 to July 8, 2007. 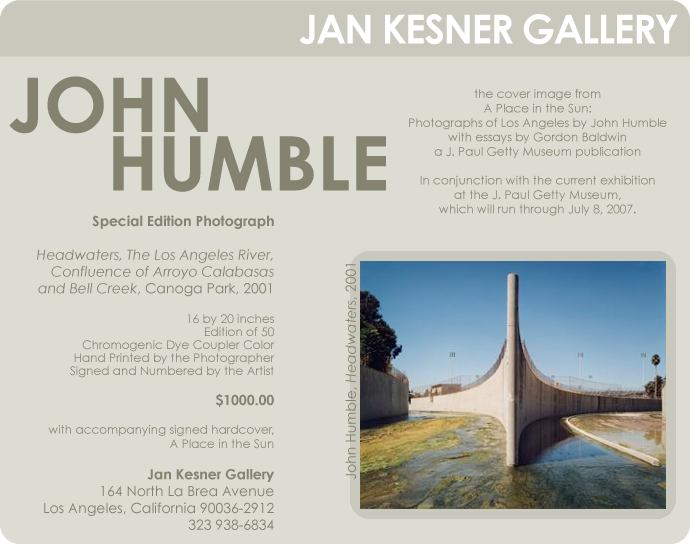 The exhibition is accompanied by a book of the same title, also published by the Getty.